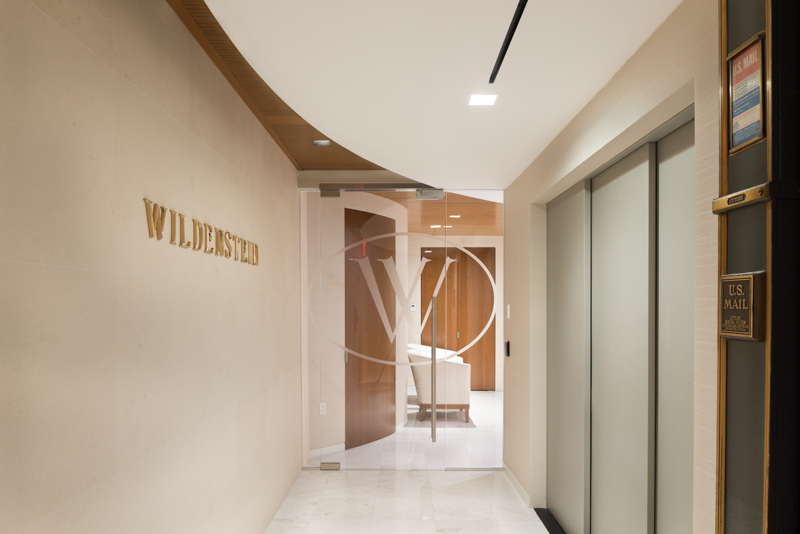 Wildenstein, a repeat client, entrusted Gallin to create an atmosphere worthy of the artistic treasures that pass through their halls. 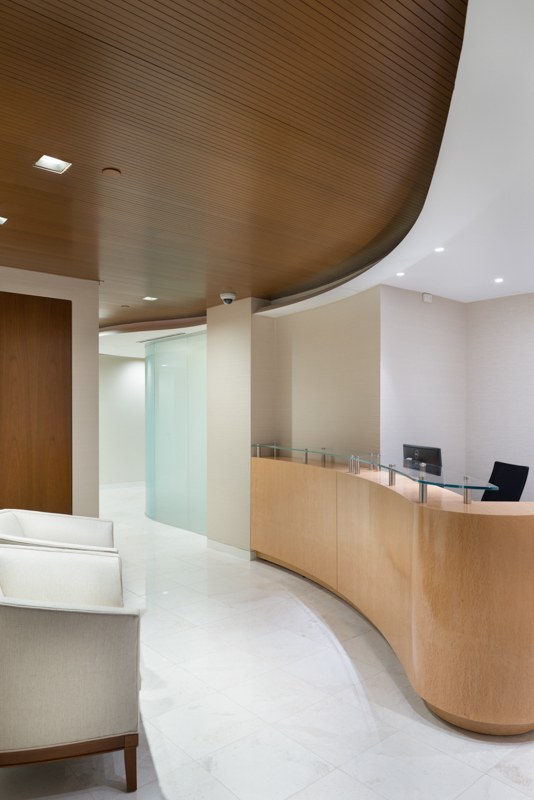 Visitors entering their space are greeted by floating, curving walls, a sinuous reception desk, a wood ceiling with recessed lighting peaking out from a sheetrock cove. 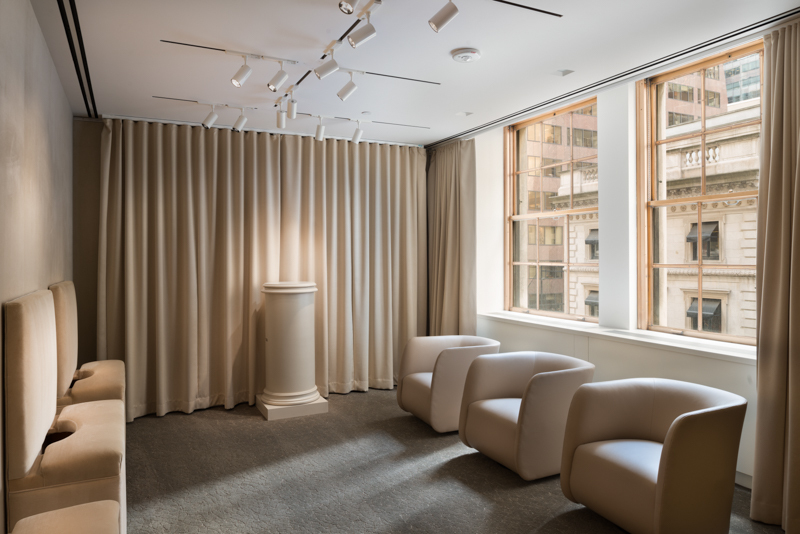 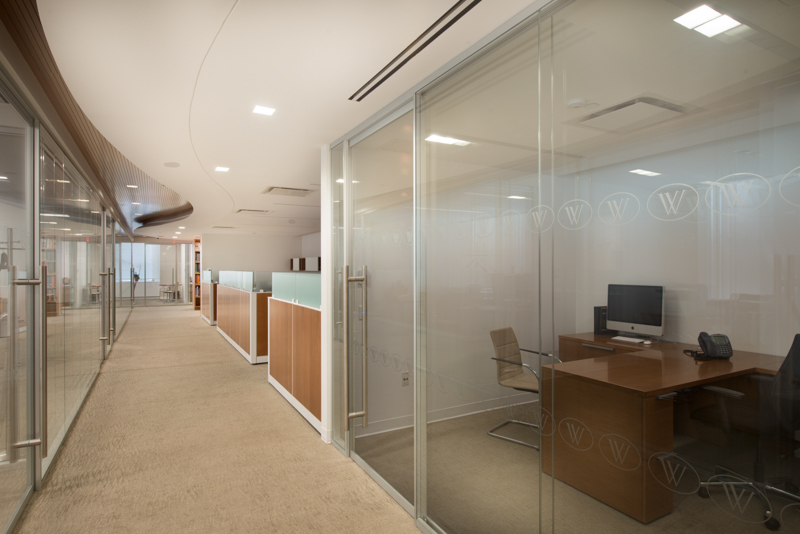 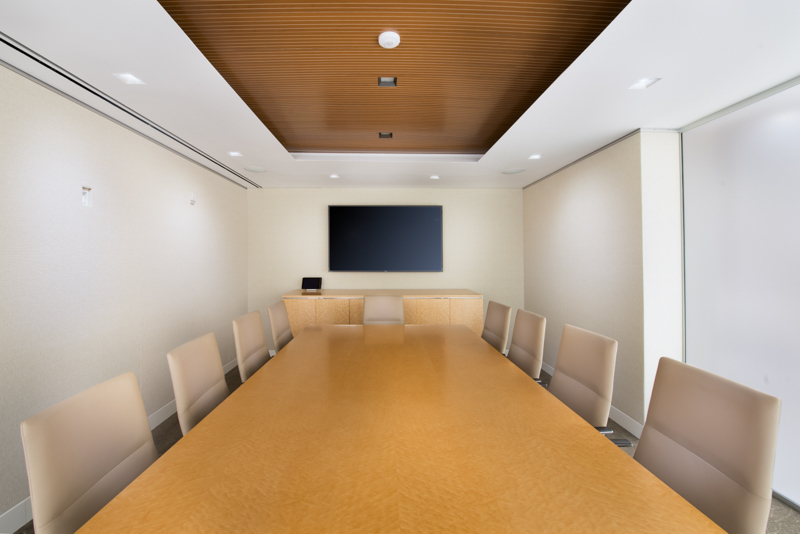 The imposing glass-enclosed conference room and art gallery just off reception add to the warmth of the space.